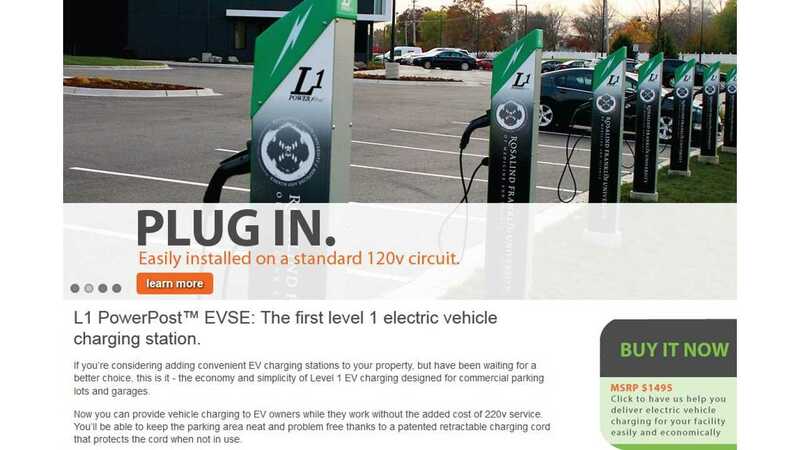 "The award winning L1 PowerPost electric vehicle charging station is the first commercial grade Level 1 electric vehicle charger with patented retractable cord reel technology." Provided it operates as intended (meaning the cord doesn't jam up or resist retracting), then isn't this the most attractive, user-friendly and clean way to manage the cord for public charging stations? We have to wonder why more chargers don't feature retractable cord technology. My $100 vacuum retracts its own cord, so it's not like this tech is expensive or difficult to implement. The only issues we see is with managing heat of the cord if its plugged into a vehicle, but not fully extended out of the charger and whether or not the retracting system is robust enough to handle thousands of operations without flaw. 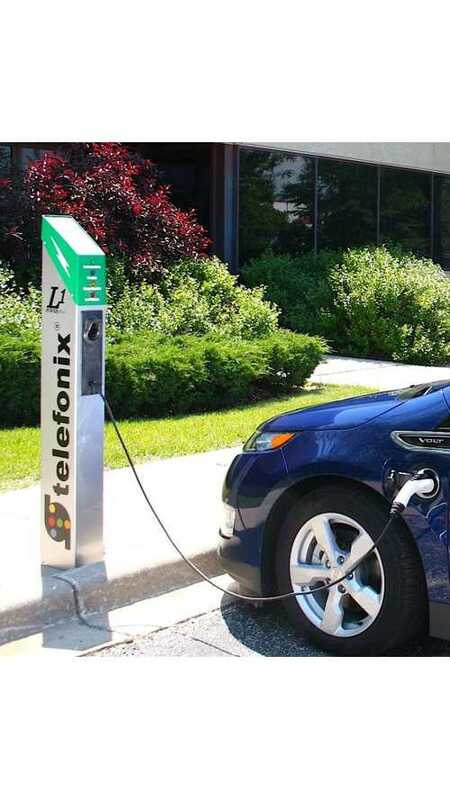 Anyways, Telefonix says that you'll find the L1 PowerPost "in a parking garage at Denver International Airport and in an outdoor parking lot at Rosalind Franklin University of Medicine and Science in North Chicago, Illinois." If you've used one of these chargers, then let us know what you think of its operation in comments below.